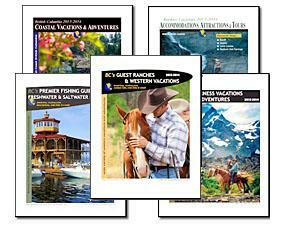 Download our entire family of free British Columbia Vacation Guides in .pdf format. Choose the vacation type that interests you, or if you aren't sure, browse them all to discover which BC Vacation is in your future! From the magnificent West Coast and the Great Bear Rainforest, to the fertile valleys and wilderness regions of the BC Interior, Canada's western province has an incredible unique vacation awaiting you. Choose a BC Vacation Guide and start the dream that will become your next British Columbia Vacation!